Anahid Syourapian Piano Studio Receives 2015 Best of Manhattan Award! So proud to have received this wonderful award given to the studio by the Manhattan Award Program Honors the Achievement!!! 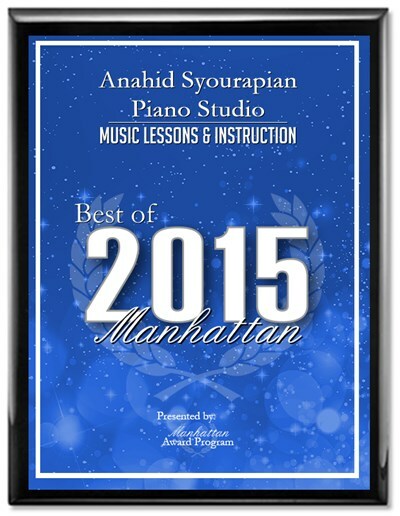 MANHATTAN July 27, 2015 — Anahid Syourapian Piano Studio has been selected for the 2015 Best of Manhattan Award in the Music Lessons & Instruction category by the Manhattan Award Program.